The word "Nixonian" started trending on Twitter and Google saw a spike in searches for "Saturday Night Massacre" after President Trump suddenly fired FBI Director James Comey on Tuesday evening. Why are we seeing comparisons to former President Richard Nixon? Nixon, as his presidential library pointed out Tuesday night, never fired his FBI director. But he did fire the man leading an investigation into his White House. In May of 1973, Archibald Cox was appointed as a special prosecutor by the Nixon administration's Justice Department. He was tasked with investigating the June 1972 break-in by Republican operatives at the Watergate Hotel, where the Democratic National Committee was headquartered in the summer leading up to that year's presidential election. The Nixon administration had provided Special Prosecutor Cox and his office with summaries of taped recordings that documented conversations held in the Oval Office between President Nixon and White House officials. But Cox was not content with the summaries alone and issued a subpoena to Nixon for the tapes themselves. Nixon refused to comply with the subpoena, and a day after it was issued, he began to make moves in firing Cox. On Saturday, Oct. 20, 1973, Nixon reached out to Attorney General Elliot Richardson, the only person with the power to fire Cox, requesting that he dismiss the special prosecutor. Richardson refused and resigned from his position, transferring power to Deputy Attorney General William Ruckelshaus, who also refused to fire Cox and resigned. Was the President's decision to fire James Comey "Nixonian"? With the two top posts of the Justice Department vacant, the third-ranking official, Solicitor General Robert Bork, became the acting Attorney General. He then complied with Nixon's order and fired Cox. Bork also told the FBI to seal the offices of the special prosecutor and transfer its responsibilities to the Justice Department. "Whether ours shall continue to be a government of laws and not of men is now for Congress and ultimately the American people," Cox said in defense of his investigation into Watergate. The firing of Richardson, Ruckelshaus, and Cox was immediately dubbed the "Saturday Night Massacre" by the press. 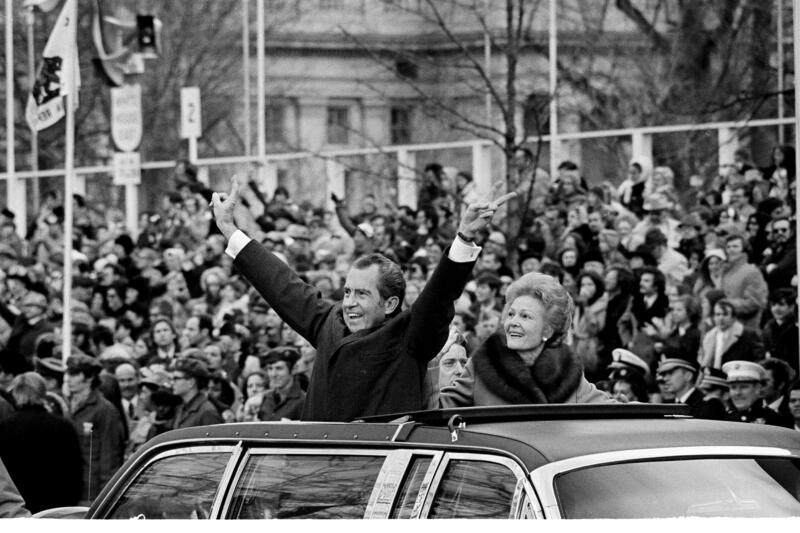 Nixon was heavily criticized at the time and began the downward spiral to his resignation on August 8, 1974. In this way, Comey's firing is reminiscent to some of the Saturday Night Massacre. Both cases have provoked outcry from Republicans and Democrats alike, with many of the latter demanding the appointment of a special counsel to conduct an investigation. The dismissal of Comey, who was only three years into his ten-year term, raised eyebrows because the FBI is currently investigating alleged ties between the Russian government and some of Mr. Trump's associates. Trump, acting under the requests of Attorney General Jeff Sessions, who months earlier recused himself of all Russia related matters, and Deputy Attorney General Rod Rosenstein, claimed that Comey's firing was related to his handling of his investigation into former Secretary of State Hillary Clinton's private email server. Until Comey, the only other FBI director to have been fired was William S. Sessions, who is not related to Jeff Sessions. In July 1993, former president Bill Clinton fired the Reagan-nominated director after Attorney General Janet Reno said that Sessions "can no longer effectively lead the bureau." Clinton had asked Sessions to resign on these grounds, in addition to his unethical spending of government money for personal use, but after Sessions refused, he was dismissed.